If you're about to add a new dog to your family, you'll want to learn everything you can about canine health and wellness. Puppies' hearts beat faster than those of adult humans, and dogs have different ways of showing pain or distress. Being aware of what is normal for your dog will help you recognize when your pet is sick and needs to seek veterinary attention. 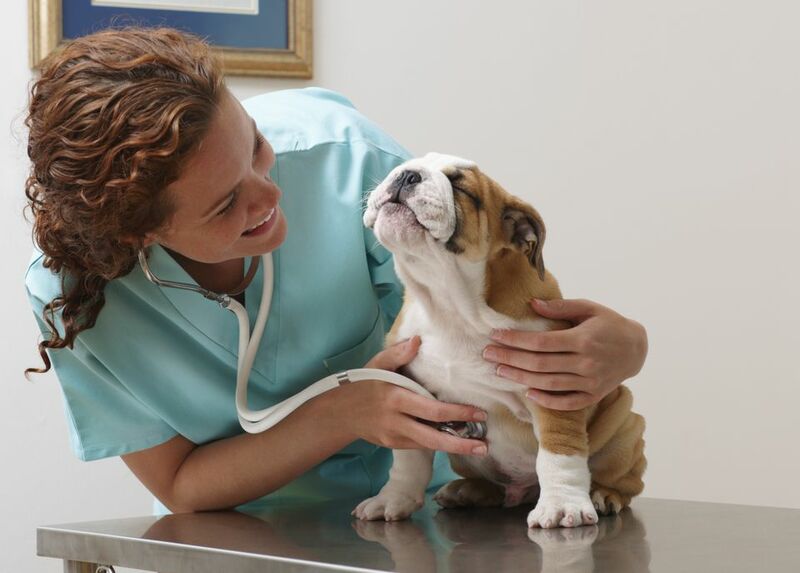 Many illnesses have a better prognosis (and lower expenses) with prompt veterinary care. Before you bring your puppy home, you'll want to identify a good local vet and animal emergency care center in your area. You'll also want to puppy-proof your home by removing any potentially dangerous or breakable items from puppy height. Just like toddlers, puppies have a lot of energy and curiosity and no ability to tell a dangerous item from a toy. In general, dogs' body temperatures are higher than those of humans. In fact, canine "normal" body temperature range is 100.5 to 102.5 F (38 to 39.2 C). A body temperature below 100 F or above 103 F warrants a call to your veterinarian. Body temperature in dogs is most often measured rectally; ear thermometers can also be used, but it can be difficult to get an accurate reading. Gauging body temperature by the moistness of the nose or how warm the ears feel is not reliable. As a new pet owner, it's a good idea to learn how to assess your dog's body temperature. Dogs can overheat just like humans can. It's very dangerous to leave dogs in parked cars in the summer. The interior temperature of the car can rise dramatically higher than the temperature outside. If you need to leave your dog in the car make sure the air conditioner is on or the windows are open. You should also leave water for your dog to drink. Respiratory rate is the number of breaths per minute. Normal respiratory rates are assessed when the dog is resting. The standard respiratory rate for dogs is 1 to 34 breaths per minute unless panting. A dog that is in pain, having heart or respiratory problems, suffering from heatstroke, or simply excited will usually have increased respiratory rates. It is important to gauge the overall situation and condition of the animal to assess the respiratory rate. Panting is how dogs release heat so don't be concerned if you see Fido panting on a hot summer day. The standard heart rate in dogs is 60 to 100 beats per minute for large breeds, and 100 to 140 for small breeds. Larger dogs have slower rates than small dogs, and dogs that are in good physical shape will have lower heart rates than dogs of similar age and size who are not physically fit. Puppies typically have higher heart rates; up to 180 beats per minute is normal for dogs up to one year of age. On average, canine pregnancy lasts 63 days but can vary from 58 to 68 days. You'll want to learn more about pregnancy in dogs and the canine estrus (heat) cycle especially if you plan to breed your dogs. If you don't plan on breeding, most vets recommend that you spay or neuter your pets to cut down on unwanted litters. Spaying or neutering can also reduce unwanted behaviors that can create issues for you and your dog. Puppies have 28 teeth; adult dogs have 42 teeth. Puppies usually lose their deciduous (baby) teeth by 6 months of age. These sharp little teeth are replaced by more numerous adult teeth. It's a good idea to know how to care for your dog's teeth; as veterinary dental care can be expensive, it's helpful to learn to provide a basic level of home dental care for pets.